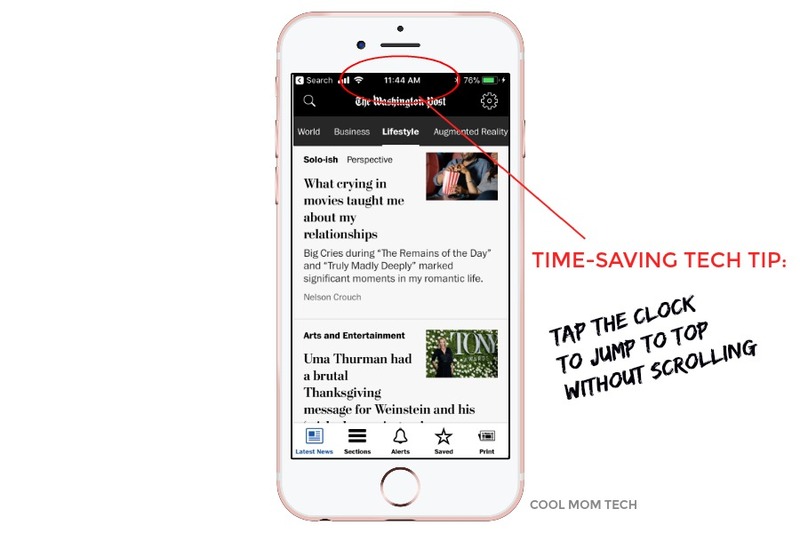 The world’s easiest iPhone time-saving trick I never knew. D’oh. Okay, so please tell me I’m not the only iPhone owner who’s had an iPhone for literally years…and never knew this super basic time-saving iPhone trick. Turns out, your clock — you know, the little digital display of the time at the very top center of your phone? Well, it functions as more than just a clock. And if you’re a big social media user or online media reader, this one’s for you. Related: iPhone trick: How to use Text Replacement to make your texting life a whole lot easier. If you’ve been scrolling, scrolling, scrolling to the bottom of a social feed to find out who’s saying what about a trending hashtag, to the bottom of a juicy threaded comment section, or the bottom of a fascinating if lengthy article, no need to go scrolling, scrolling scrolling all the way back to the top again. You can just tap that clock at top and, like magic, your screen will jump to the very top of the feed. 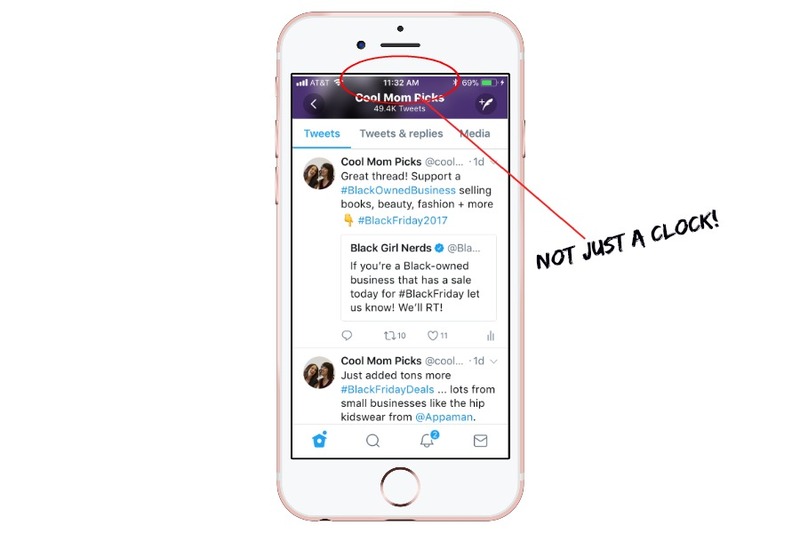 I asked Kristen if she knew this iPhone tech trick and she said, “of course!” But I figure I can’t be the only one who didn’t. So instead of being (mildly) embarrassed, I’m sharing the tip so now you can pay it forward with other scroll-weary friends and family. Now go forth and save some of that energy your right thumb has been exerting. It’s got many good days ahead of it. Add me to the “had no idea” list and I’ve been an iPhone owner since the beginning. Definitely a time saver. Thank you!!! You are definitely not the only one who didn’t know this. Thank you for sharing this trick. Yay! So glad it wasn’t just me, ha. This is fantastic, I don’t know how/from people learn these kind of things…thank you for sharing!